On Thursday (May 19) I participated in my first ever short distance race. It was a 2.5 km around a 9-holes course at Golf Hostivař. I did not prepare myself with a purpose for this race since I am in the fourth week of my marathon training. I actually did more of an opposite of what you should do before a race. I trained hard on the two days before. Since my standard schedule at this stage is: medium runs (4-6 miles) on Tuesday & Thursday, short run on Wednesday (2-3 miles) and a long run on Sunday (over 10 miles). The race took place on Thursday, so I had to tweak my training schedule, ran 4.5 miles on Tuesday and 6 miles on Wednesday. The race was in the evening and I had a squash game with my dad in the morning. But as I said, I fitted in the race in my training, my purpose is the full marathon and a race is not bad now and then, but it is not the ultimate goal. 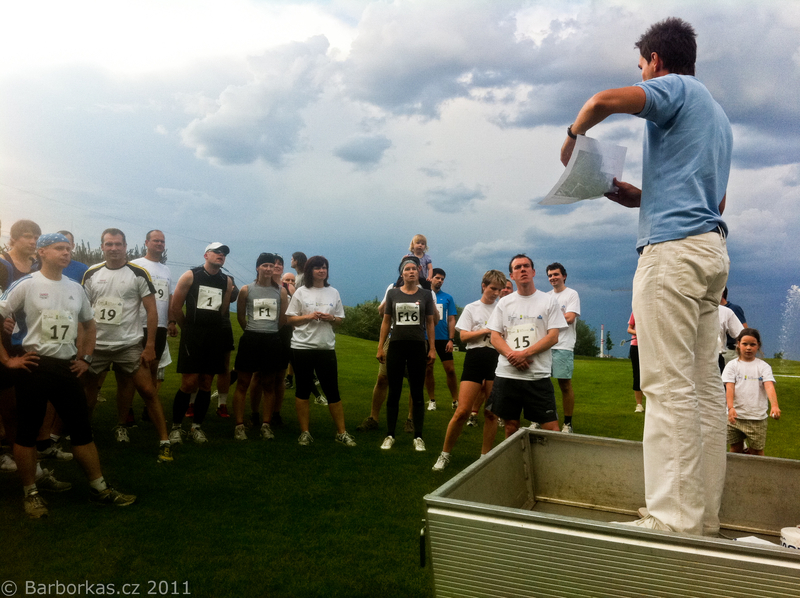 What is more, the race was nice socializing event for running golfers. 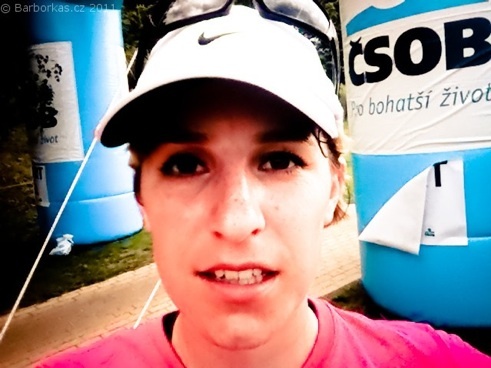 I was actually pretty confident about myself and my result but that was only until I arrived to the club and realized how many golfers are actually into the running business so seriously! Different timing devices, compression socks etc. 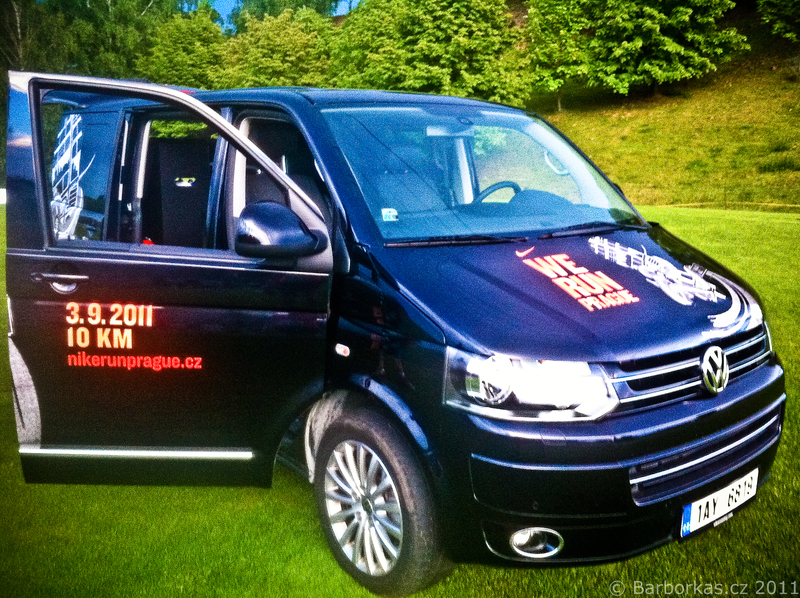 As a very pleasant surprise, the Nike team was there in order to promote the Nike Run Prague and to let us test different Nike running shoes (the selection of models was quite limited though). Quick pre-start briefing and here we go. Putting my iPhone in my back pocket after start was too much of a hassle. Unfortunately the Nike+ GPS app for iPhone is my only GPS enabled device to map my runs right now. And I wanted this run to be monitored. After the starting gun shot the pace was fast, I managed to stay at the tail of the really fast group, carefully monitoring the ladies ahead of me. Two of them definitely not easy to beat, one just clearly over-paced herself at the start with all the enthusiasm and energy of the race. I over passed her after few hundred meters. Soon it was me and a little boy ahead of me with the fast group at sight in front of us and the slow somewhere behind. I did not know much about them since checking your back while running is not an easy task to do. The tricky thing about this race was the course profile ... first half flat or downhill, second part uphill. Of course I did go little too fast at the beginning because I glimpsed on a girl behind me and I knew I was running on the podium 3rd position. The girl behind me overpassed me towards the end of a long 5-par hole uphill fairway and I was not able to get back in the game. I just did not want to give up and finish in decent time, but I was still slowing down I guess, but that is normal when you run uphill. I managed to keep my 4th place up to the finish in official time of 12 minutes and 1 second :) That’s 7:45 per mile or 4:51 per km, I’d say not bad to myself!